North Coventry >> What a difference a year makes. 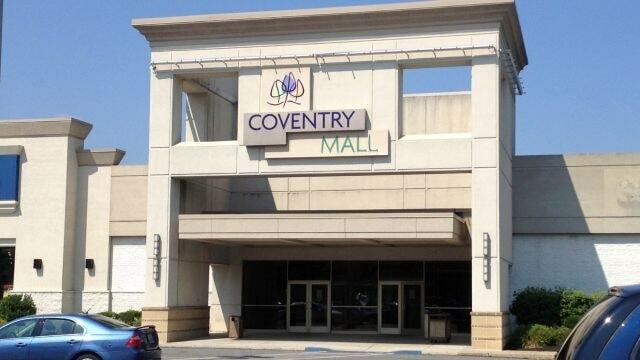 When Pennmark Properties purchased the Coventry Mall last April, the tenant occupancy rate was about 65 percent. Foot traffic was down and the mall needed repairs. Fast forward one year: The occupancy rate is about 89 percent, new food court vendors have signed on, facilities have been spruced up, the mall hosts numerous weekend events and 14 new stores have either opened or are planning to open. A flurry of activity is underway that will strengthen the mall’s position and bring in more people, according to Pennmark Properties CFO Bob Sichelstiel. From the day Pennmark purchased the property, CEO Donald Cafiero said the future of the mall would include the addition of medical and service facilities. That medical tenant has now been announced: Community Health and Dental Care of Pottstown will be moving into the former Ross Dress for Less store. Once complete, it will be the fourth location for the organization, a federally qualified health medical center that provides medical, dental, vision, OB/GYN and integrated behavioral health care. The federal Health Resource and Services Administration must still approve the agreement — a process that could take up to 60 days, according to Community Health and Dental Care CEO Bridgette McGivern. In addition, an agreement has been signed with Anytime Fitness franchise owner Ben Bell, to take about 8,000-square-feet of space near Boscov’s. Coventry Mall will be Bell’s third Anytime Fitness location — he currently owns facilities in Oaks and Norristown. Long-time mall tenant Coventry Corners will be moving its location in the mall — around the corner and closer to Christopher Bank, Victoria’s Secret and Bath and Body Works. To accommodate the move, Habitat — which currently occupies the space — is also relocating within the mall. The activity comes on the heels of the recent opening of Gabe’s in the former Sear’s store, the construction of a new mall entrance near Gabe’s and the planned May opening of Lomax Carpet & Tile Mart. Once final approvals are received for the new Community Health and Dental Care location, Sichelstiel said the architectural design of the space will begin — a financial outlay for the company of about $50,000. McGivern said the new facility will include pediatric medicine; adult medicine; vision; OB/GYN; dental and the organization’s administrative offices. “We have case management, we offer free transportation. We’ll be doing a lot of community education. We work with local agencies that provide domestic violence support and child support. Having it all under one roof will be a convenience,” she said. Community Health and Dental currently has three locations — in Pottstown and Lower Pottsgrove. All the locations will remain open. Community Health and Dental Care will start with about 26,000 square feet, but McGivern said she is looking to add diagnostic and physical therapy services. Sichelstiel said Pennmark is investing about $1.5 million in getting the space ready. “This is something we’re really excited about. We think it’s good for the community,” Sichelstiel said. Community Health and Dental Care’s mission is to identify gaps in health services and to ensure access to appropriate levels of care for all people in the service area regardless of their ability to pay, according to the organization’s website. In addition, in 2016 Community Health and Dental Care was named one of Pennsylvania’s Center of Excellence for opioid addiction treatment. Sichelstiel said he considers Community Health and Dental Care to be one of the mall’s anchors. Community Health and Dental Care has an anticipated opening of September 2017. Bell said he was approached by Sichelstiel a while ago about bringing Anytime Fitness to Coventry Mall. Anytime Fitness offers members card key access to the fitness club 24/7. Bell said members will be able to access the club via an exterior entrance and an inside entrance during mall hours. He added that Anytime Fitness offers state-of-the-art fitness equipment including cardio equipment with touch screens, full weights and a full range of classes. In addition, he said each member has access to a fitness coach. “Customer service and the culture here are what it’s about,” Bell said. Anytime Fitness has an anticipated opening of September 2017. The Coventry Corners gift boutique opened in the Coventry Mall in 1982. The store’s current location has been “home” for about 16 years, according to vice president Megan Bauer, who said she was approached by mall management about making the change. Bauer said the sales floor will be a little bigger with more frontage. “It will give us more visibility and more traffic,” she added. Bauer said she feels like she grew up in the store, which was founded by her mother – Patricia McLaughlin. Sichelstiel expects to see Coventry Corners in its new location in July 2017. Last April, Pennmark said it planned to invest an additional $3.5 million into the mall. In an interview with Digital First Media last week, Sichelstiel said that figure is currently about $5 million — including deals that are completed and in the works. The strategy during this first year, according to Sichelstiel has been to tackle the corners of the mall — to get those spaces filled and then work on filling the other spaces. “Once traffic is back up, the national tenants will take us more seriously,” he said. Sichelstiel said the mall is actively seeking a brew pub to locate next to TGI Friday’s and looks to create what he calls a “beauty hub,” featuring a salon and a spa. He’s also been talking to the owner of a coffee shop and showing him open spaces. Another parcel owned by Pennmark Properties is the former Carmike movie theater. Sichelstiel said they have been told by several theater owners that the facility — which features eight screens and parking for 400 cars — is too big for a second run theater and not big enough for a first run theater. “We’re rethinking the use,” he added. Part of this past year has included building a relationship between Pennmark and North Coventry. “We could not ask for a better relationship — everyone has been helpful, from the supervisors down to the zoning officers,” Sichelstiel said. Another addition to the mall is new Mall Manager and Marketing Director Justin Bartholomew, who started his job two weeks ago. Bartholomew grew up in Pottstown and currently lives in Boyertown and has a background in manufacturing. “Some of my fondest memories are here at the mall,” he said. While it’s early in his tenure — Bartholomew has set a goal to make sure the staff knows that the customers come first. Active in the community, Bartholomew plans to feature community events.